Hosted by well-known Australian stand-up comedian Corinne Grant, Tanks are proud to present Women In Song, a celebration to mark International Women’s Day. MC and comedian, Corinne Grant, will chat to our amazing songstresses throughout the evening. 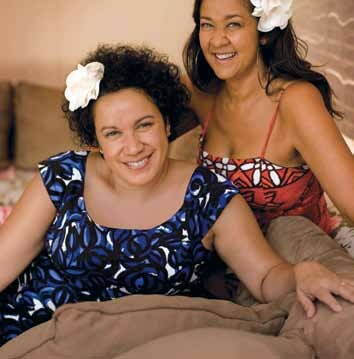 Vika and Linda are well known for their distinctive and prominent vocals that captivated audiences worldwide during their time with The Black Sorrows. They’ve since forged diverse pathways into soul, gospel, blues, country and the island music of their Tongan ancestry. Supporting is equally talented Dallas Frasca, a powerful guitarist, singer/songwriter who is a rising star in the Australian blues/rock music scene. Finally, Trevelyn Brady hails from Zimbabwe and now calls Cairns her home. Known for her role in the electrifying Indigenous band, Banawurun who won a Deadly Award in 2006 for Band of the Year, she sings with a unique and emotive voice.